A majority of hotel guests soon will have the ability to pull a video or movie up on their phone then watch it on their guestroom TV. The technology is out there, said Josh Rowe, general manager – commercial product management at DISH Network. 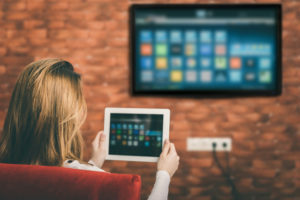 The company recently began a trial of its new Evolve product, which gives guestroom TVs access to an advanced user interface, a multitude of apps and the ability to stream to the TV. For Rowe, ease of use is paramount. All that is required from guests is to log onto the hotel’s Wi-Fi, open an app that works with Google Cast and select the “Cast” icon. “The hotel and DVD release windows aren’t too far apart anymore, so guests can go into the Google Movie store and buy or rent movies, or bring their own content, which is what they want to do,” Rowe said.